Retail wine & cider shop with tasting area, specializing in small-production, independently owned wineries that follow sustainable practices, and wines that exhibit a true expression of their origins. 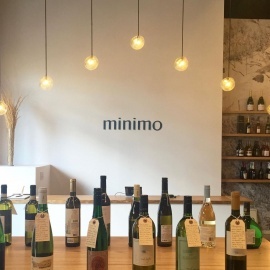 Our new name, minimo, reflects our commitment to minimal-intervention wines made without unnecessary additives. Emphasis is on California and Europe.